I read this article and wanted to share it with you: 6 Helps for the Struggling Writer https://blog.sonlight.com/struggling-writer.html. I love words—all kinds of words, believing that that words, whether spoken or written, carry power and influence. I have always particularly loved written words. When I was young, I kept a journal to document my life and feelings. When I got older, I regularly sent handwritten notes to people who needed extra encouragement. In high school, I breezed through composition classes. In college, I wrote my own papers and helped my husband write his. After college, I felt a little lost. The profession I had chosen didn’t require regular writing opportunities. So you can imagine when, around a decade ago, I discovered blogs. I was hooked. I knew that I would be writing for the rest of my life, even if no one else read it. So when it came time to teach my first child the art of writing, I was confident. Maybe a little too confident, because about a month into the endeavor, I was disappointed, to put it mildly. My oldest child did not find writing to be cathartic in any way. Instead, even the act of putting the letters on paper seemed to be the most unnatural task he had ever tried. After about a year of fighting through, we decided to go to an occupational therapist. 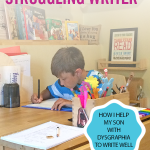 As it turned out, my son had something called dysgraphia, which to put simply is when the act of writing with pencil and paper is literally too difficult due to a lack of fine motor dexterity. After that diagnosis, I knew that I had to up my game. I had to find a way to get him writing. So over the past seven years, that’s exactly what I’ve been doing: coming up with creative ideas to get my boy to see the value in words. Here are 6 of the most helpful techniques that have worked with him. I hope they help you reach your struggling writer! My son had, and still has, horrible penmanship, but his mind is brilliant. He has all kinds of great ideas floating around up there just waiting to flow out onto paper. But, penmanship really bogs him down. I realized several years back that these are actually two separate subjects. Penmanship is a measure of how well your child forms his letters. Composition is how well your child communicates ideas. I knew that I needed to separate these two subjects for my son to be successful. When your child composes, do not count off points for or criticize penmanship. Composition and penmanship are always separate. 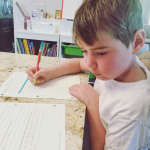 Thankfully, about the time we realized that Isaac had dysgraphia, we were in the process of switching over to Sonlight curriculum. Sonlight taught me that I don’t need to require my child to write in every subject. We used oral narration heavily, especially in the early years when we were working to develop those essential fine motor skills. Keep in mind that public schools require writing in most subjects because it’s the easiest way to assess large groups of children at once, not because it is the correct or only way to assess. 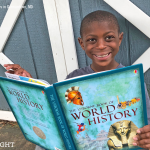 In subjects like science, history, Bible, and reading, have your child narrate what they learned from the reading assignment back to you instead of writing. You can keep a simple record of their narration in your Instructor’s Guide if you choose. I mentioned earlier that in college I would often help my husband write his papers. My husband never needed help on the content of these papers, but he struggles with Attention Deficit Disorder, so we learned that he needed to pace while he wrote. He would pace the room and say what he wanted in his paper while I would type it. All the ideas were his own. I simply was the secretary. This same idea can apply when homeschooling. When my struggling writer needs to write, he will tell me what he wants on paper, and I will write or type it. The catch is that I will write or type it with no punctuation, no capital letters, and no formatting. Once we put his ideas on paper, he goes through and corrects the grammar and formatting. Then, he will either retype or rewrite the entire paper in small sections each day. He has written some truly spectacular compositions using this method. If you have multiple children or do not have the time to devote to this kind of writing process, the recorder feature on your smartphone can be used in a similar fashion. Act as your child’s scribe, writing down everything they say. Then, have them go through the first draft to revise, edit, and create the final draft. 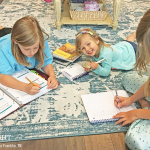 The Mom & Me Journal has been a huge part of getting my children writing. For us, this is a simple spiral bound notebook that they have decorated, and it usually includes some type of warning on the cover that goes something like this: “For Mom’s & Hannah’s Eyes Only.” I will write to them, talking about something that has been on my mind, and then I’ll ask an open-ended question. Then I’ll put it on their bed or their desk. They will write me back and put it on my bed or desk. The notebook will float back and forth. I do hold to a few rules with the Mom & Me Journal. First, I never correct grammar, format, or spelling. I only model it in my own writing back. Secondly, I never critique their content. I may ask, “Why do you think that is so?” or “What could you do to change this?” but nothing more. I have also been known to occasionally even sneak a writing assignment into the journal. For example, I might say, “If you could go anywhere in the world, where would you go and why?” This is the beginning of a future composition paper about a travel destination. 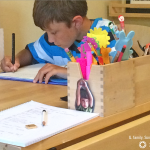 I also use the Mom & Me Journal to get insight into how my kids are feeling. They are much more apt to write down when they are feeling sad or hurt than they are to say it. So we also talk about heart issues in the journal. 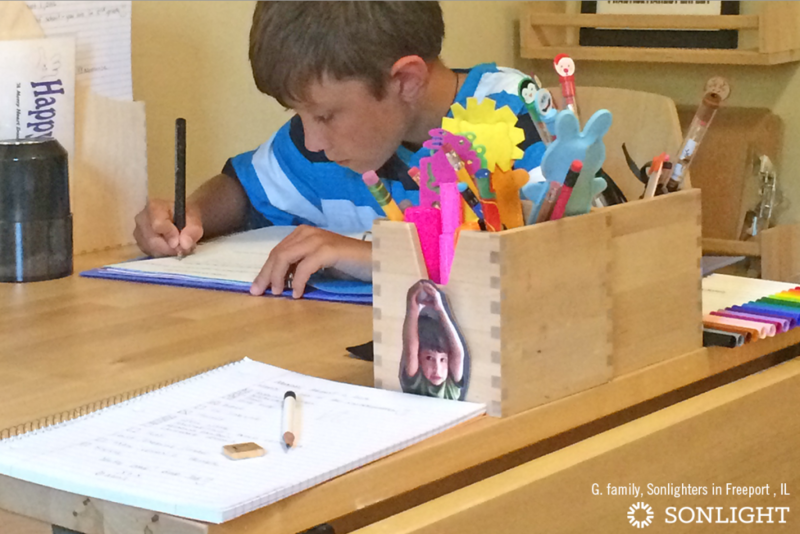 Keep an open dialogue and model correct grammar, spelling, and formatting with a Mom & Me Journal. "Thank goodness for the Diamond Notes system we've learned from Sonlight. 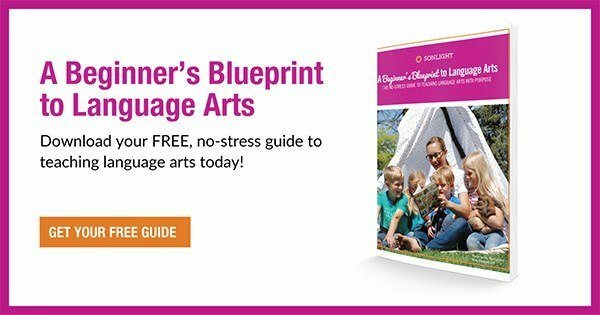 We have about 10 weeks left of Language Arts 3 and get a big kick out of looking back at his writing ability at the beginning of the year versus now." 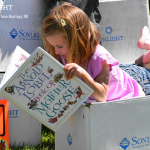 I am a fan of children being surrounded by great literature. Of course, Sonlight does a fantastic job of this! Each week, in the elementary to middle school years of Sonlight Language Arts, the first assignment is a copywork passage from the current reading. This is tempting to skip, but it is so important. Instead of glossing over these passages, sink deep into them. Examine what makes it a great passage. Notice the punctuation, and allow them to ask questions. Encourage them to copy the passage slowly and carefully. A few weeks ago, my seventh grader, who is currently working through Sonlight HBL G World History, came across the topic of primary and secondary support sentences within a paragraph. We took the examples provided and dissected them. He used three different colors to highlight the topic sentence, primary, and secondary support sentences. It was such a treat for me when, after doing this exercise, he looked at his own writing sample, highlighted it, and realized that he actually had only included a topic sentence and secondary support. He hadn’t included any primary support at all! We added a couple of primary support sentences, and he was immediately able to see how the organization drastically improved his writing. Because we spent time examining good passages, he was able to pinpoint where his own work was lacking. 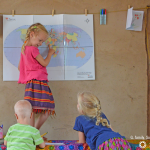 In the early years of elementary school, shared writing is common in schools and homeschools alike. But, as kids get older, this falls by the wayside. We need to remember that sometimes children are not quite ready to take off the training wheels when we think they should be. If you have a struggling writer, you may consider extending the shared writing season another year or two. Shared writing is simply writing a story or paragraph together. You contribute some, and your child will contribute some. Remember that this is not about whose ideas are included in the story. Rather, shared writing is all about modeling good writing practices. As you sit beside your child and create a story with them, you will be modeling the writing process as well as correct grammar, spelling, and formatting. I am always encouraged by how my child’s writing evolves after my modeling. Many times, improvement doesn’t require us to say anything. It only requires us showing them. Take every opportunity to model good composition skills. Remember that writing does not have to be an independent activity at the age of seven. If your child needs your help longer, that’s okay. Savor the extra years of shared writing (and be sure to save some of those precious stories you write together!). We are seven years into the great writing struggle, and I am happy to report that, while we have a little way to go, my son has become a proficient writer. It hasn’t come on any standardized time table. Rather, it has come in his own time, but it has come all the same. Surprisingly, I have seen that he may actually have a little hint of my love of words after all, especially when the topic is sports. The other day, he even said, “You know, being a sports writer wouldn’t be so bad.” Never in a million years would I have thought he might even consider a career path in writing, but crazier things have happened. If you have a struggling writer, take heart! A little creativity will go a long way in showing your child a whole new world of communication. And if you are a struggling writer yourself, don’t worry! Some of the best teachers are those who are learning alongside their student.